Murder by Gaslight: The Baltimore Sorrow. William James and Denwood Hinds of Baltimore were close friends who had served together in the Fifth Maryland Regiment. The friendship would have remained strong if William’s sister, Lizzie James, had not become hopelessly infatuated with Denwood Hinds. Lizzie’s love set off a chain of events that not only ended her brother’s friendship with Denwood, but resulted in her own death and the murder of her father. In the autumn of 1878, the normally bright and vivacious Lizzie James became despondent; so much so that her mother was prompted to ask if she was unwell. Lizzie would deny that anything was wrong and briefly feign cheerfulness, then fall back into depression. But by December she could longer live with her sadness and confessed the truth to her parents: she had been intimate with her brother’s friend Denwood Hinds and now she believed she was pregnant. William was devastated by the news and went to Robert Moore and Co. where Hinds worked as a clerk, determined to set matters straight. When Hinds said he was willing to talk about it, James said it was too late for talk; his sister was pregnant and Hinds must immediately marry her. Hinds denied that he had seduced Lizzie or harmed her in any way. He said he thought it was all her imagination and that Lizzie was not pregnant at all. The argument grew heated and when Hinds steadfastly refused to marry Lizzie, James pulled a revolver from his back pocket and began firing. Hinds then pulled out his revolver and fired back. Though they were standing at close range, both men ran out of bullets before there were any serious wounds. The fight continued hand to hand, with each man using his pistol as a blackjack. Hinds’s employer ran to the scene at the sound of shots and at the first opportunity, he and another member of the firm pulled the two men apart. The employer wanted to send for the police, but neither fighter wanted the law involved, each went back to his own home. Denwood Hinds could not hide his injuries from his father and explained to him what the fight was about. He maintained that he had done nothing to injure Lizzie James. There was a class disparity between the James and Hinds families—Denwood’s father, William S. Hinds, owned a merchant tailor store, William James’s father, Isaac James, was a railroad engineer. While William Hinds asserted that he would never interfere in his son’s choice of a wife, he also made it clear that he did not approve of Denwood’s marrying Lizzie. The Hinds family stood behind their son and denied that Lizzie was pregnant. Meanwhile, Lizzie’s condition was worsening. By spring she was bedridden; she was losing strength and complaining of pains. 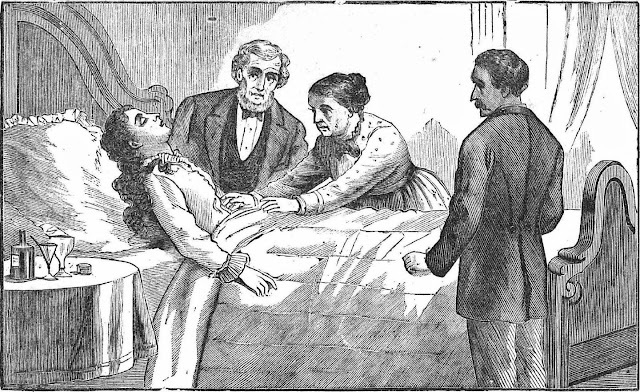 Then, one Sunday in March 1879 Lizzie passed away, expressing love for Denwood Hinds in her dying breath. It was never made clear whether or not Lizzie actually was pregnant. One account said that Lizzie died shortly before the time “which she was to become a mother.” Other accounts are less definite, with statements like, “…Miss James died, it was said, in child-bed.” The Hinds family continued to maintain that Lizzie had died of natural causes, unrated to childbirth. In spite of the trouble between the two families, William Hinds sent flowers to Lizzie’s funeral. 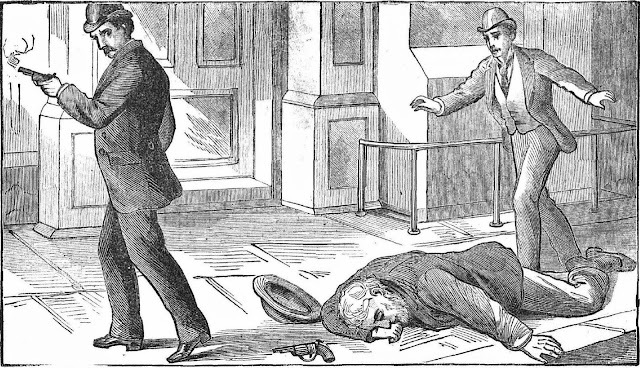 Isaac paid a visit to William Hind and thanked him in person for the flowers; however he also told Hinds that he would make it his life’s mission to kill his son. Denwood Hinds left Baltimore soon after. On April 16, Denwood was back in Baltimore and, along with his brother Harry, met Isaac James in a stable on Carrollton Avenue. A scuffle ensued and, once again, two revolvers appeared. This time, however, Denwood was shot through the arm and Isaac James was shot once in the head and once in the heart. The Hinds brothers remained in jail until July when they were released on $10,000 bail. On October 22, they appeared in the Circuit Court at Towsontown, Baltimore County. After the examination of several witnesses, the State Attorney abandoned the prosecution and consented to accept a plea of self-defense by the accused. Charges were dropped and the Hinds brothers were set free. Verdict: Charges dropped; Self defense. Hinds, Denwood. 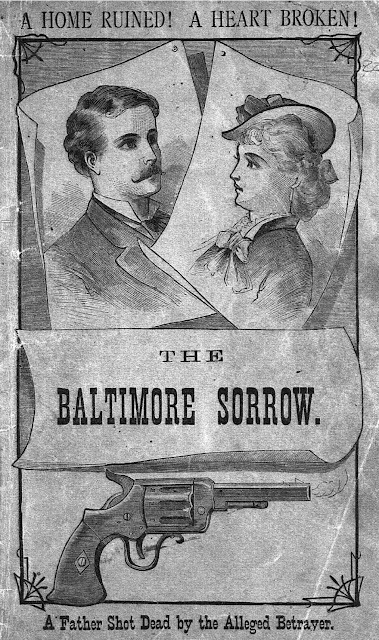 The Baltimore Sorrow and Awful Social Tragedy: Being The History of the Hinds and James Affair in Baltimore, Maryland, Which is Now Exciting Social Circles .. Philadelphia: Issued by the Old Franklin Pub. House, 1879. "The Fatal Bullet.." The Norfolk Virginian 18 Apr. 1879: 1. "The Hinds-James Murder Case." The National Republican [Washington] 23 Oct. 1879: 1. Another fascinating crime. I wonder if she was truly pregnant, or just so upset that she could not marry the lad.